The Other day i was walking home after a brain draining session of ISA lectures. Painting crew has been busy whitewashing the Gopurams and Protective Wall of the temple. It was late afternoon and the road was completly deserted. 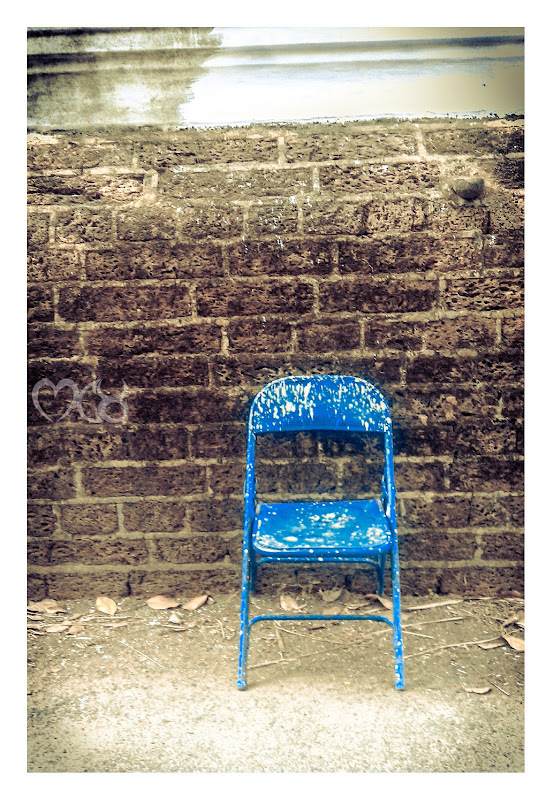 But there it was: a blue chair near the wall, left behind by one of the painters, patiently waiting for someone.